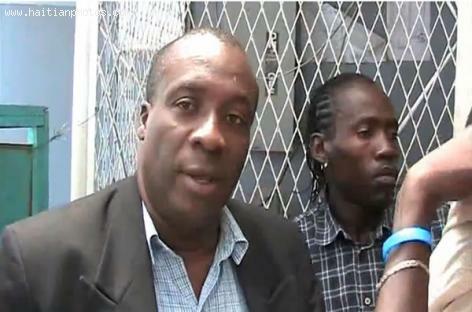 Radio host Laventure Ernest Edouard, better known by his popular name Moloskot is under the control of the Haitian authority. According to information just provided by Radio Kiskeya, he is accused of distributing fake official badges as well as arms to a group of custom employees or (La Douane). The Government Commissioner Lucman Délille who was interviewed on this case reported that Laventure Ernest Edouard (Moloskot) gave himself the title of Coordinator General Des Douanes. He is accused of impersonation for assuming the character or appearance of someone else, especially fraudulently and distributing fake badges to some of the employees. These employees are required to return these badges and guns to the authorities. According to the report, Moloskot is currently not a custom employee. He was Communication Adviser for Haiti custom until September 30th, 2012. His contract was not renewed. Mòlòskòt is in the card business at the customs, providing fake badge inside. Lucmane DELILLE went after him but couldn't find him. The Haitian Govern is now looking for Moloskot.